This luxurious minivan gets a host of new upgrades this year, and all of them will be contained within the 5 initial trims: LX, EX, EX-L, Touring, and Elite. You're going to have your pick of what matters most to you, but the same aerodynamic and non-SUV design keeps this one squarely in the realm of a minivan via the exterior but underneath the hood it's got power unlike a traditional minivan. What Are Some of the Interior and Exterior Features? If you want to drive a modern vehicle with bold style, this one is for you. The exterior, while it does have the traditional minivan formfactor, brings a fresh, trendy look that turns heads. 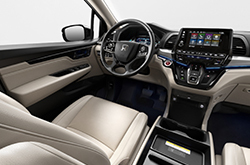 The interior cabin comes with the ever helpful CabinWatch system that lets you watch passengers in the second and third row seats via the 8" touchscreen system that comes on the dash. This is going to be infinitely helpful to parents that like to keep a close eye on their children during trips. It's part tech feature, part safety feature. And if rear seat passengers need a bit of entertainment, there's a 10" Rear Entertainment System with Blu-Ray that is certain to keep little passengers, bored adults, and even teenagers happier during long trips. What Kind of Power Output does the 2019 Odyssey Have? 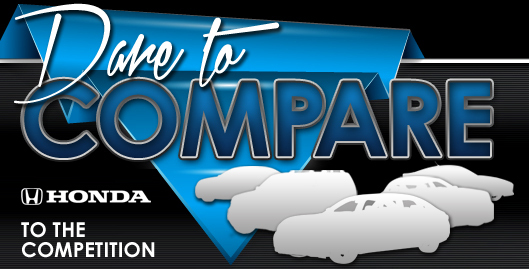 The 3.5-liter V-6 engine gives you 280 horsepower and 262 lb-ft of torque, and if you opt for a Touring or Elite trim, you'll get a 10-speed automatic transmission for maximum handling and transitions. The feel of the minivan is unlike an SUV, but this one has enough power and handling prowess to make even SUV lovers think twice about whether or not this one should go home with them. 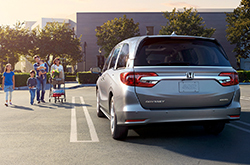 The LX has basic safety features, but every trim higher than LX gets a host of amazing standard safety features like Adaptive Cruise Control, Collision Mitigation Braking System, and Lane Keeping Assist, to name just a few of the advanced safety features from Honda Sensing that make this one such a, well, safe pick for parents and single folks alike. Add in 4G wi-fi and hands-free navigation, and you've got a recipe for success that leaves the things that worked alone and adds in a few new goodies to keep folks interested in 2019. Stop by today or call to schedule a test drive of the 2019 Honda Odyssey at our dealership today! We look forward to showing this one to you.